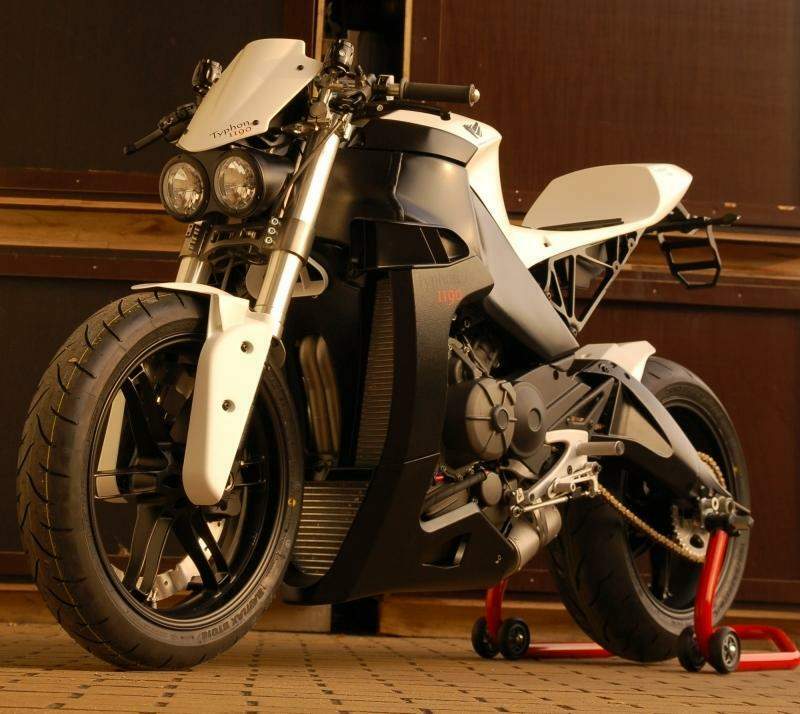 The new EBR 1190 RRB has helped the Pegasus Race Team to win the 2010 Sound of Thunder Championship, which made the Team - together with Gruner Engineering - to use the 185hp Erik Buell Racing Superbike as their base for the prototype of an radical naked bike that has been dubbed Typhon. "Our idea was with our years of experience in Buell racing to concept the ultimate Streetfighter with outstanding performance and a unique design," said Team Manager Jens Kruper. The Typhon study in fact has control blades and air splitters to lead - at possible top speeds beyond 250 km/h - the air masses around the fork and frame. It also got a more minimized frontscreen in the size of the old Buell S1 bikes. "We now consider what spin-offs we gain from the Typhon study, there will be coming first some parts to rebuild the Buell XB models and 1125R/CR, but further thinking is explicitly not excluded," said Thomas Wanner, owner of Pegasus Race teams from Switzerland. Except for the EBR racing exhaust system, with its adjustable clip-ons, the digital cockpit, and other fine parts, the Typhon is ready to go for the public roads. "EBR is working intensely right now on getting the new 1190RS Superbike model ready for production, which is consuming all our resources. We had been talking with our friends at Pegasus about our plans for a streetfighter model that would follow the 1190RS, and mentioning we could not work on it at this time. Pegasus asked if they could build a concept model to show, so we sent many CAD models over for them and our friends at Gruner to use to speed up the design process. They did a great job in a very short time!" stated Erik Buell on the Typhon.